Okay, maybe not all that, but writing about her home life, Erma Bombeck did make the world laugh. The University of Dayton grad made her humorous mark here locally before hitting it big. Her column at one point was syndicated in over 900 newspapers reaching over 30 million people. Erma passed away in 1996 following complications from a kidney transplant. And even though she’s no longer with us physically, her spirit lives on. The Bombeck family entrusted Erma’s vast collection to the university under the guidance of archivist Jennifer Brancato. And my friend, plus long-time communications guru for the university Teri Rizvi, took Erma’s legacy one step further, creating the Erma Bombeck Writers’ Workshop. “The first was in 2000 as a one-time event to commemorate the Bombeck family’s gift of Erma’s papers to her alma mater. We thought a writers’ workshop in Erma’s name would be an outstanding tribute to her legacy. Erma’s famous friends — columnist Art Buchwald, “Family Circus” cartoonist Bil Keane and author and ERA advocate Liz Carpenter — headlined the event. It proved to be so popular (and so much fun) that we decided to offer it again.” Rizvi said. And the rest is, as they say, history. Today, writers inspired by Erma’s humor and humanity gather every other year to laugh and learn from the likes of Dave Barry, Garrison Keillor, Phil Donahue, Nancy Cartwright, Don Novello, Gail Collins, Lisa Scottoline, Alan Zweibel and Leonard Pitts. The event always sells out — without a marketing brochure or a single ad. It draws new and established writers from around the nation and beyond. It is the only workshop in the country devoted to both humor and human-interest writing. “The personal involvement of the Bombeck family, which spans three generations, makes the event memorable and sets it apart from the myriad other writers’ workshops offered across the country.” Teri said. Now you can either make a trip to the university or dive into its new and expanded, all things Erma on-line, with the Erma Bombeck Museum. “A repository for scholars, humorists, journalists, authors, essayists and bloggers, the Erma Bombeck Collection(www.ermabombeckcollection.com ) features all things Erma — from family photographs and biographical book excerpts to radio and TV clips.“ Rizvi said. Teri tells me some new ‘finds’ are available including, a recently discovered hour-long radio interview between Bombeck and veteran Cincinnati journalist Alice Hornbaker. A newly digitized local television program, “An Evening With Erma’s Friends,” from 2000. A documentary, “Erma Bombeck: A Legacy of Laughter,” narrated by Phil Donahue for public television markets around the nation. New “Good Morning America” clips, and a “CBS Sunday Morning With Charles Osgood” tribute to America’s best-loved and funniest mom. Plus, many more gems. “There is no better place than the University of Dayton to honor and celebrate her legacy. This is a university that offers an environment of support and challenge to students, a place where young people are given the encouragement to reach high. Erma became a household name — without ever losing her unpretentious nature. She exemplifies the Marianist sense of humility that personifies the University of Dayton.” Teri said. But my question is, if she were alive today what would Erma have to say about social media? “Since she shunned computers and preferred to write on a Selectric IBM typewriter, I think she would write in a very humorous way about our addiction to texting, tweeting and sharing news on Facebook about what we ate for breakfast.” Rizvi said. 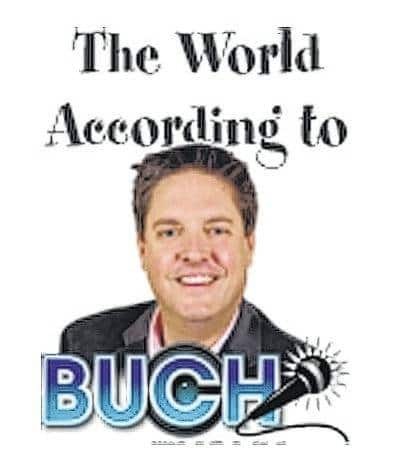 Jim Bucher is a area resident and guest columnist.